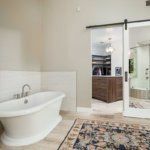 Gail and Michael came to Republic West Remodeling with different design styles in mind for their master suite and entertainment areas of their home. 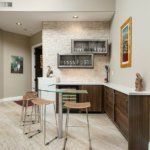 The couple knew that they wanted to incorporate rustic elements, while at the same time ensuring that the design had a clean contemporary feel. 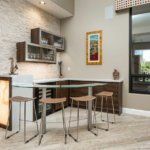 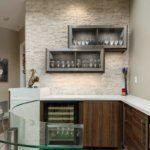 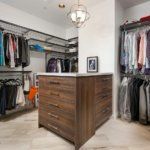 In order to achieve their dream home, Republic West Remodeling designer Arthur Gambino worked diligently to ensure that their vision became a reality. 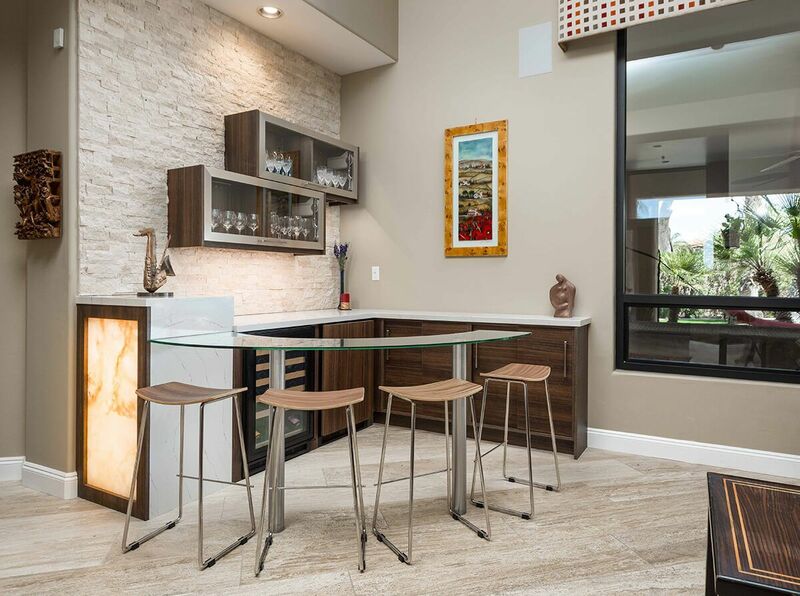 Gambino incorporated very clean, straight simple lines into the design that created a simple feel. 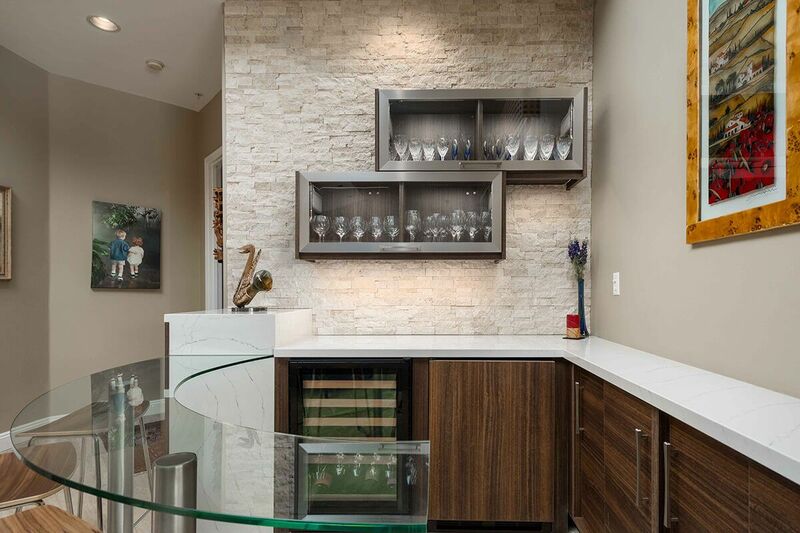 These elements provided great storage and function throughout the new areas of their home. 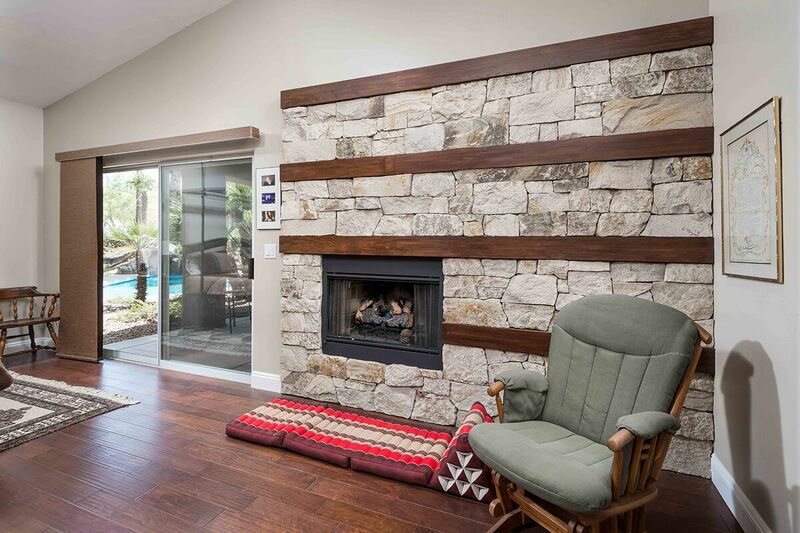 Arthur also worked to ensure that the materials had natural and in depth textures. 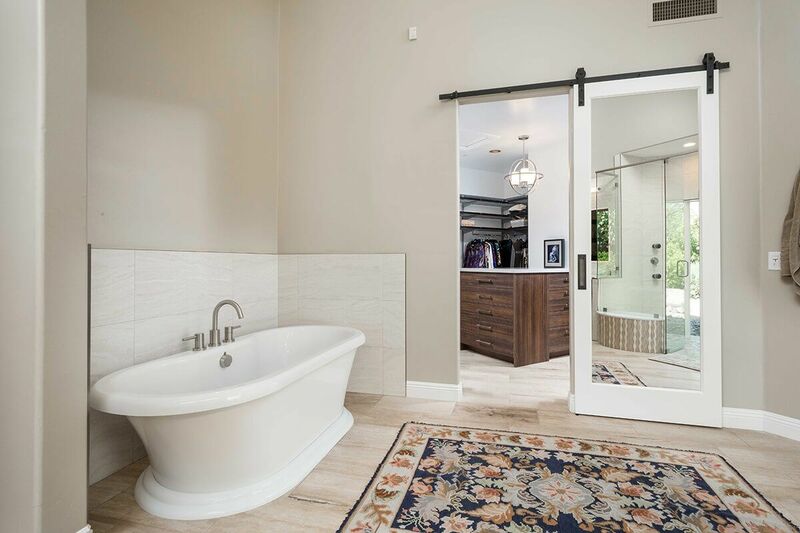 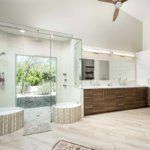 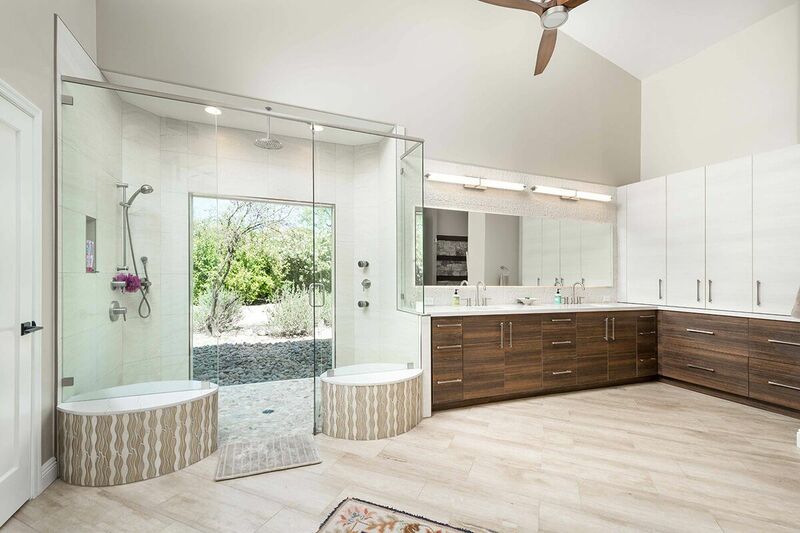 The design elements in the master bathroom incorporated a luxury shower that brings the outdoors in, a very large vanity for the sinks with tall storage spaces and a free standing soaking tub. 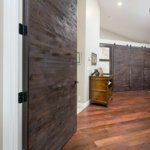 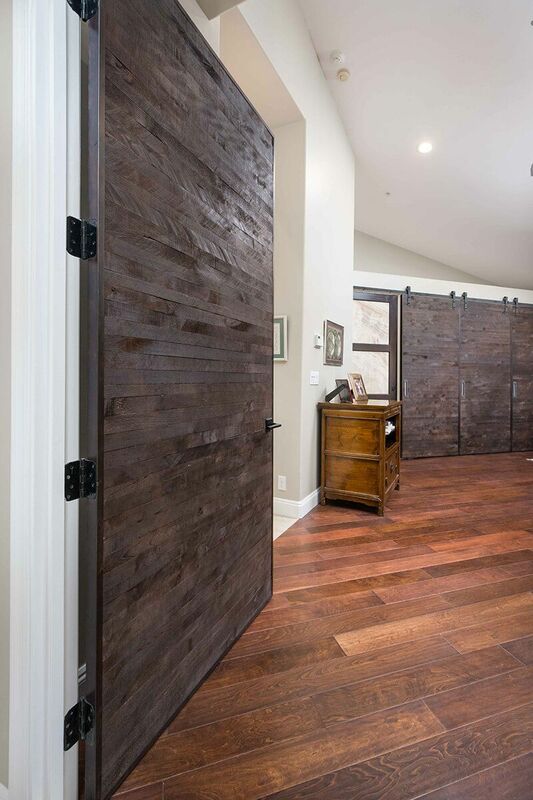 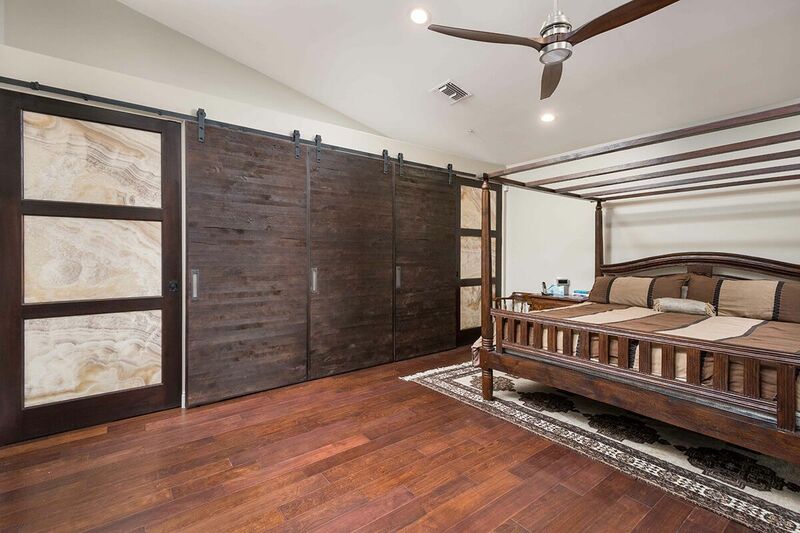 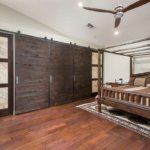 Design elements in the Master Bedroom incorporated a new wood entry door, a large closet with wooden barn doors, as well as back lit onyx doors. 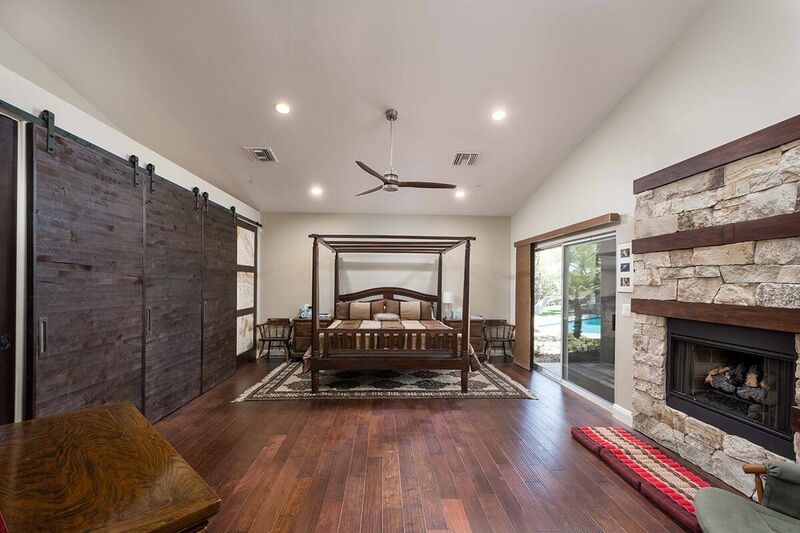 The dark wood floors in the master bedroom really warmed up the room and helped to create a cozy feel. 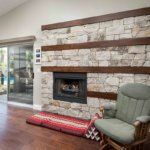 The fireplace incorporated horizontal stone and wooden horizontal slats that brought out the clean lines and natural textures. 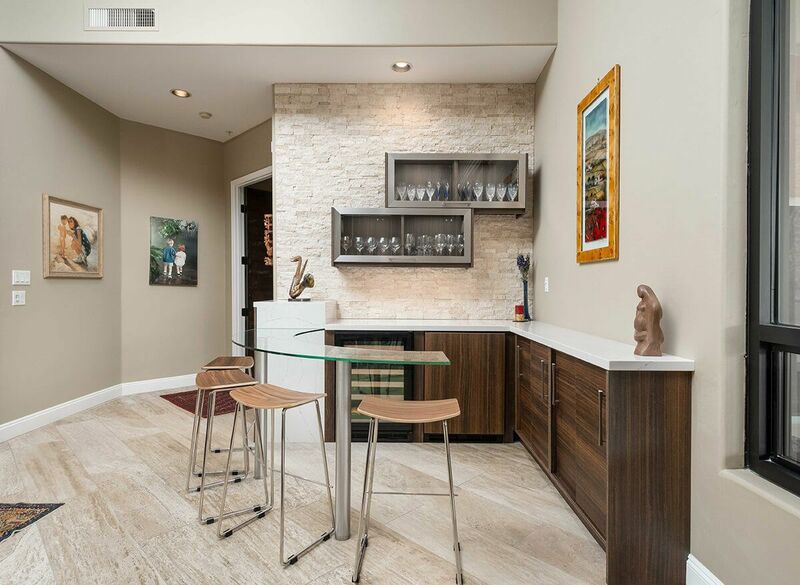 The original bar that was in the home felt cramped and not welcoming when the couple would entertain their guests. 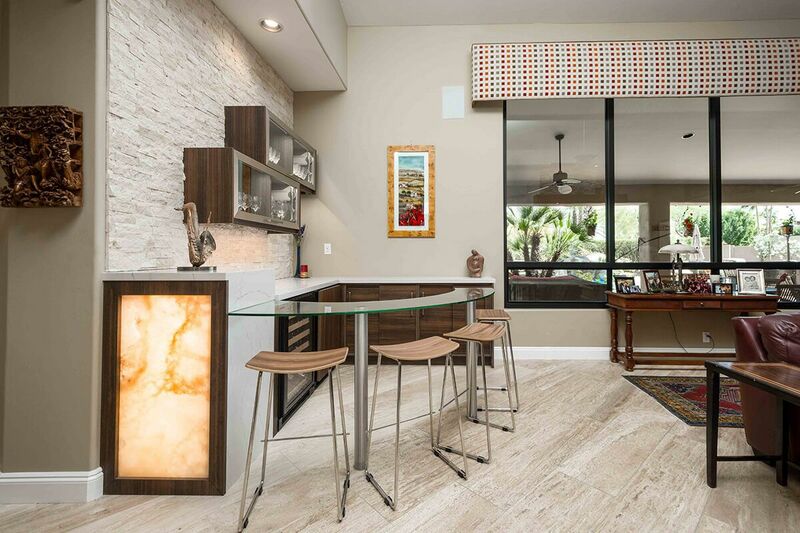 Gambino enlarge the space by moving walls and incorporating a contemporary design that entailed a large clear glass top sitting area, contemporary textured cabinets, quartz tops, and back lit onyx. 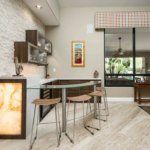 The overall design not only fit the clients’ desires but also was scaled properly with the home.